Sometimes an F-bomb is the only appropriate response. I’ve learned this over time as my parents never cursed or associated with people who swore. I am not sure whether we Americans curse more than we used to, or whether it has become more common to hear and read in the media. In any case, the F-bomb ensures that we still have freedom of speech. The problem is when it is all we have to say. Language is the way to vent pent up frustration. We may not be the most educated nation, but we sure know how to share our words. In other countries, a public F-bomb is frowned upon. It still is here in certain company and places, but not as much as years prior. And we can F-bomb the president or just about anyone. In other countries, cursing at the leader is illegal and can be hazardous to your long-term health. 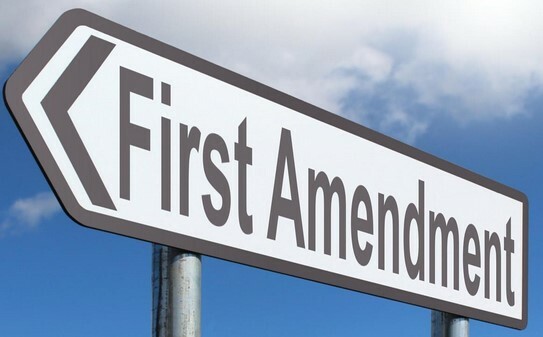 The United States is the world’s freedom of speech capital. With free speech, one man’s trash is another man’s treasure. What is offensive or disrespectful to some is glorious to others. Yes, there are a few things like screaming fire in a crowded building or bicycling naked around town that are not considered legal forms of free speech. For the most part, everything and anything is allowed and can be equally pleasant or offensive. Which is why the recent episode in our nation’s capital of the teenager standing his ground against the Native American was offensive to some and something else to others. It is important to note that nothing that happened between the two was illegal. This episode highlights how we teach our kids to use their freedoms, and how we as adults use ours. While wearing a Make America Great Again (MAGA) hat is legal, there are many Americans who find a teenager wearing such a hat and representing a Christian school and standing nose to nose with a senior both disrespectful and delusional. The Black Hebrew Israelites, a fringe group of Americans who were cursing and threatening everyone they came into contact with were also self-serving in their barrage of hateful rhetoric and I think questionably legal with their public display. There are all kinds of freedoms of speech that some of us view as necessary and others see as a problem. Taking a knee or holding a fist in the air during our national anthem or not standing for the pledge of allegiance are both legal and sometimes necessary to awaken a distracted public. Whistle-blower laws and even WikiLeaks exists because freedom of speech is many times the only thing that can check abuse of powers. The list can go on and on because freedom of speech is an absolute necessity for every other freedom we take for granted. Salman Rushdie, the prize-winning author with the fatwa issued against his life by religious zealots, had it right. He would rather the free speech of his haters and enemies be heard in the bright light of public opinion and condemnation. It’s not the MAGA wearing teens, the Native American, the Black Hebrews, or even Colin Kaepernick that are the problem. Our responses are the real barometer of the health of our nation. We can force people to act a certain way in public, or we can set standards and expectations as the adults. Every form of freedom of speech has some message whether or not we choose to listen. There is a huge difference in a society that encourages individuals to think for themselves and that encourages a singular way to think. A healthy democracy is never static. I would rather see a bit of obnoxious behavior in public and know we still have diversity and still have work to do. 5 Responses to "Parker’s Perspective: F-Bombs and Other Freedoms of Being an American"
The larger problem is that the catholic boys were waiting en mass for their bus after their first amendment “March For Life”. The “Senior Native American” approached them and was beating of his drum 10-12 inches from a youths face. The idiocy of the press jumping to the “refrigerator repairman’s said defence was indefensible. To all who doxxed, vilified, or otherwise showed their impetuous virtue signaling, I say, step back and imagine that these youths are your kids, grands, or maybe just friends; and consider the loss of confidence in our constitutional rights to believe in God, right to life, and the inherent goodness of man (at times). I have a bit of a different perspective, and I did consider what I would think if my own teenagers were in this situation. Thank you for reading and sharing your thoughts. Loss of confidence in the constitutional right to believe in god……i cant see how anyone is stopping u from doing anything u want, if its legal…But we are not a Christen Country… We are not Iran , if u want to live like that, move to Israel…. Just because one has the right to do something, which lets not forget many have sacrificed their lives to ensure and brave women and men stand guard to protect every day, doesn’t make it necessary or reasonable for one to do it. The exercising of any right comes with consequences in which society as a whole or individuals enforces. You have the right to shave your head, or die your hair , or wear all black , or pierce different parts of your body, or curse someone out, etc. etc.., but the employer who runs the company your interested in becoming employed with, has the right not to hire you based on your decision to do one of these things. If we teach our children to love in every circumstance and not trade F-bombs or vulgar language just because it’s their right to do so, something hard for us adults to grasp, but to love even those who choose to be different , then we will move forward and start to heal the divisions of this great nation. I believe I am in agreement with you. Thank you for reading.